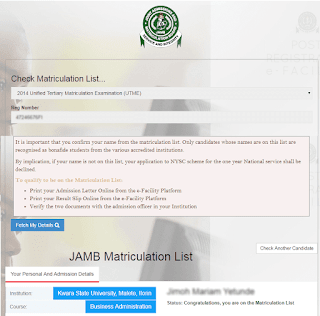 The Joint Admissions and Matriculation Board has scrapped the use of scratch cards for any of its transactions and services, describing it as “archaic,” its Registrar/Chief Executive, Prof. Is-haq Oloyede, has announced. He also demanded that the Federal Government should revert to the former system where serving vice-chancellors of universities were made chairmen of the Governing Board of JAMB. A statement issued by the spokesperson for JAMB, Dr. Fabian Benjamin, obtained by The PUNCH on Sunday, said Oloyede made the announcement in Abuja in a paper he delivered during a meeting of the Association of Vice-Chancellors of Nigerian Universities. According to him, JAMB would be using the platform of pin vending to check all forms of fraudulent practices which was prevalent with the use of scratch cards. “The decision is as a result of its consistent subjection to fraudulent practices, the use of scratch cards is archaic and it is the aim of JAMB to also promote accountability in line with government’s zero tolerance for corruption. This new system will be accessible through the options of web payment, ATM issued cards (Visa, Verve and MasterCard), online quick teller, ATM payment, quick teller mobile application and Bank Branch case/card,” he emphasised. Oloyede said in the olden days, the understanding was that only serving vice-chancellors were made chairmen of Governing Board of JAMB. While appealing that government should go back to the practice from inception, Oloyede added that since the agency was a creation of the Committee of Vice-Chancellors of Nigerian universities, it would only be proper for them to be clearly recognised as active stakeholders to avoid any acrimony between tertiary institutions and JAMB.